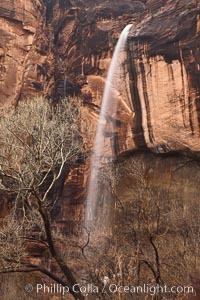 An ephemeral waterfall in Zion Canyon. In a few hours this waterfall will cease only to return with the next rainstorm. Emphemeral Waterfall Photo.